WIWT : Mimpikita multi-way cardigan | escaped. 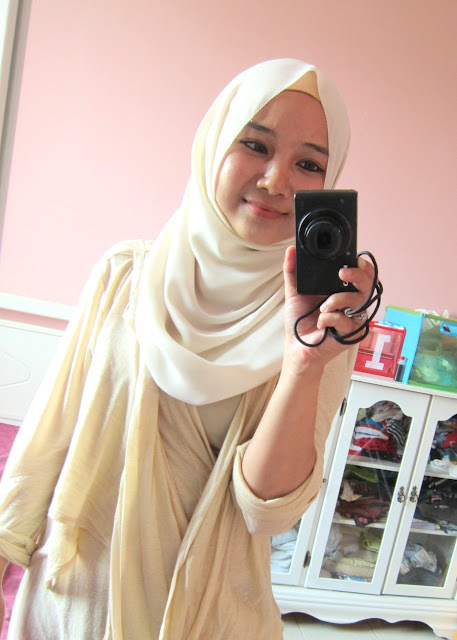 A while ago, I bought this cardigan before the trip to JB. Thought I have so many work tops that flexible enough to be worn during outings, but less..casual. I don't have any jumpers, or knit tops, or just plain old cotton shirt to throw on; most of the tops I own are either formal enough for work and colorful enough for weekends. So I got this multi-way cardigan from Mimpikita. And I was instantly reminded of why I love the brand in the first place. It's so versatile that I can style it in different ways (see the tutorial here). It's made of cotton so it's so comfy! Loose enough to be worn over a skirt and a sleeveless top. 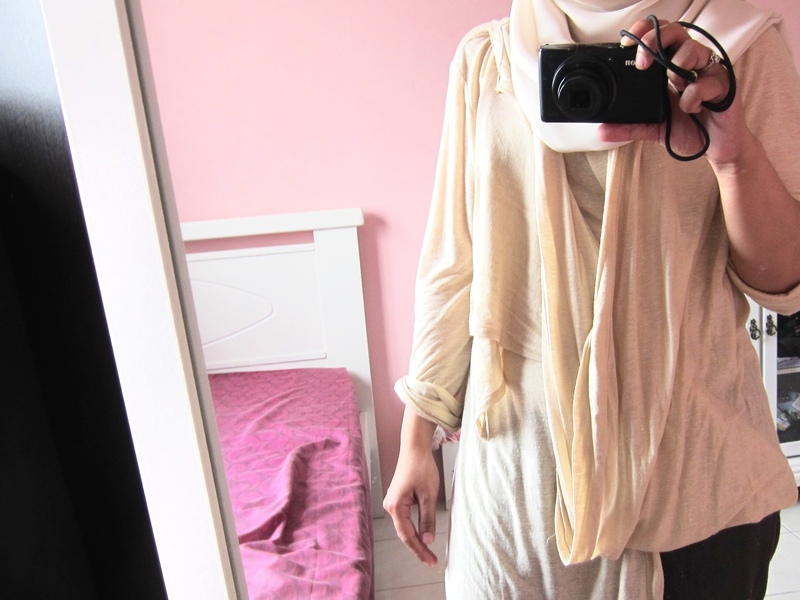 Wore the cardigan and Almond Mylk georgette dUCkscarves. Took this one day when I was about to out to the post office. Didn't have to recheck if my top is wrinkled prior to stepping out of the car, for once. the cardigan is versatile alright but unfortunately, sorry hun, u cant seem to pull it off. i think a nice wrap cardigan is a more suitable fit for you. Hi Anonymous, thank you for your comment :) Will keep that in mind.